It's official. Shout! Factory has gotten the rights to release Mighty Morphin Power Rangers on DVD. And it's not just Mighty Morphin, but EVERY Power Rangers series up to RPM is coming to DVD. Though, this deal does NOT include Mighty Morphin Power Rangers: The Movie, Turbo: A Power Rangers Movie, the 2010 reversion of MMPR season 1, or the currently-airing Power Rangers: Samurai and Power Rangers: Super Samurai. But, it DOES also include the DVD rights to other Saban-made series like VR Troopers, Big Bad Beetleborgs, Beetleborgs Metallix, and Ninja Turtles: The Next Mutation. Conspicuously, Masked Rider seems to be absent from this. Anyway, they'll be releasing the Power Rangers DVDs by volume, by season, and in a big 40-disc special collector's set containing MMPR-Lost Galaxy available exclusively from Time Life. The first season 1 Volume 1 DVD set will be released on August 21, 2012. Here's a whole bunch of press releases with further information explaining it all better than I could. Our understanding is that there's more to this than HMM is currently reporting, but then again this is just the initial announcement. Stay tuned and we'll try to bring you more, just as soon as we can! They've got a power and a force that you've never seen before. They've got the ability to morph and to even up the score. No one can ever take them down; the power lies on their side. They know the fate of the world is lying in their hands. They know to only use their weapons for defense. Shout! Factory broke the news back in March that they'd signed a deal with Saban Entertainment for home video rights to 17 years of Power Rangers television history: every American TV show (sorry, no Sentai) from 1993's Mighty Morphin' Power Rangers to 2009's Power Rangers RPM is included in the deal...but only those shows, however. The '95 and '97 theatrical films are still with Fox, and the most recent TV series - as we recently reported - is coming to DVD from Lionsgate Entertainment instead. But all of the previous programs from the hugely popular franchise are in Shout! 's hands now, and they are beginning their mega-assault on stores this summer! Overnight the studio's first plans for this show have been revealed with an Amazon pre-order entry for Mighty Morphin Power Rangers - Season 1, Vol.1, arriving in stores on August 21st. 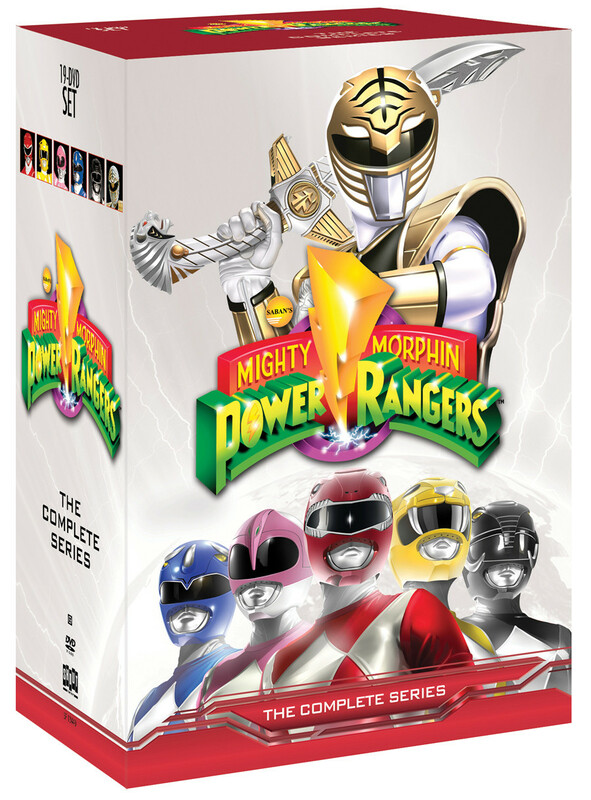 This 3-DVD "half-season" set with 30 episodes priced at $19.93 SRP brings you the first portion of the first of Morphin's three seasons. That includes "Day of the Dumpster," the very first episode which introduces us to Jason, Kimberly, Zack, Billy, Trini, Zordon, Alpha 5, Ernie, Bulk, Skull, Rita Repulsa, Goldar, Finster, Baboo and Squatt. We also ought to get on this collection the legendary 5-part story "Green With Evil," which first introduces Jason David Frank as "Tommy Oliver," the Green Ranger (the first of several colors Tommy would sport over the years!). We're still waiting on Shout! Factory's press release (possibly next week) with all the details of this exciting brand launch for them. Hopefully it will have word of other releases in this long-running franchise (maybe other configurations for us more passionate fans, perhaps?). Stay tuned and we'll fill you in, as further developments occur! UPDATE: We now have a look at the front box art for this title! UPDATE (5/5): This release will be closed captioned, we've learned. NOTE from TVShowsOnDVD: Details, pricing, package art and pre-order listings for the "Season 1, Part 2" set, the "Complete 1st Season" set, and the "Seasons 1-7" forty-disc set aren't available yet, but stay tuned for updates! Your favorite childhood show has morphenomenal action, adventure, and meaningful lessons for both original and young fans. Now you can relive these action-packed adventures and share them with the next generation when we unleash the ORIGINAL POWER RANGERS on DVD for the very first time! Plus, you'll get exclusive in-depth bonus content, including a retrospective featurette on the Mighty Morphin Power Rangers phenomenon, brand new interviews with the cast and creative teams, and much, much more! Emphasizing the importance of teamwork, fitness, responsibility and helping others, the Mighty Morphin Power Rangers follows the thrilling and humorous adventures of ordinary teens who "morph" into extraordinary superheroes over the course of three seasons. The adventures continue with Power Rangers Zeo, as the team takes on a new member, new zords, and meets new challenges and enemies. Then shift into Power Rangers Turbo, with the fastest team yet! Next, "Let's Rocket!" as we blast off for Power Rangers In Space; then we'll "Go Galactic!" as we join a new team in unexplored territory with Power Rangers Lost Galaxy. Order your own incredible POWER RANGERS box set today! A few hours ago today, TimeLife.com began accepting pre-orders for their 40-DVD collection of Power Rangers - Seasons 1-7: From Mighty Morphin to Lost Galaxy. You'll get 338 episodes which aired from 1993 to 1999, plus tons of bonus material including 2 DVDs completely dedicated to extras. Additionally, with this title you'll also get a rare Bandai-made action figure of Morphin Red Ranger (Jason) wearing the "Dragon Shield" (which, in case you've forgotten, is the golden shoulder pad/chestpiece assembly) usually seen on the Morphin Green Ranger (Tommy). You can see a high-res image of this action figure at the bottom, complete with accessory sword and blaster. This toy was once available for collectors, but not for a long time; it is currently available exclusively from Time Life with the purchase of this title. And don't think this combination of Red and Green Ranger uniforms is simply out-of-the-blue; it is taken directly from two Mighty Morphin: Season 1 episodes: "Birds of a Feather" and "Clean-Up Club"...both of which you can watch on these discs! Note that there is NOT any overall "slipcase" packaging for this title: these are the same sets that Shout! Factory will be selling individually, and Time Life will take the separate disc cases and the action figure, and wrap them in bubble wrap and send them to you in a regular shipping carton. The price is $219.95 SRP, which may sound like a lot at first, but at 40 discs it breaks down to just $5.49 per DVD. Or, putting bonus stuff aside, it's just 65¢ per episode...$31.42 per season. And standard shipping is available for free. It's a great value, any way you look at it. And if you cannot afford the entire $219.95 cost at once, you can break it down into 5 easy installments of $43.99 per payment. Sounds good to us! The current planned ship date is August 6th, just a week later than what we originally reported. Time Life, Shout! Factory and Saban are working on getting a full press release to us soon; stay tuned for that! Yesterday we reported on the upcoming 40-DVD release of Power Rangers - Seasons 1-7: From Mighty Morphin to Lost Galaxy, for sale exclusively from Time Life's online store. At the time we had a USA pre-order link for the title, but today readers north of the border will be pleased to know that it's now up for pre-order in Canada, too! Please remember that using these affiliate links which we provide here will help to support our site, and keep us around! If you *must* order by phone, however, you can call 1-800-826-8545 in the USA or 1-800-828-8565 in Canada. Price is $219.95 in either country, and payment in easy installments is available in both as well. We also have to clear up some confusion about one aspect of yesterday's write-up. In it, we described how "there is NOT any overall 'slipcase' packaging for this title," and went on to say that "Time Life will take the separate disc cases and the action figure, and wrap them in bubble wrap and send them to you in a regular shipping carton." This info was characterized as "misleading" at a Power Rangers message board by an insider to this project, and after looking into it we agree that we didn't really describe this the best possible way. What we were trying to communicate to our readers is this: there will not be a single slipcase (or any other sort of packaging) which houses all 7 seasons together on your shelf. What we made it sound like is that you won't get any slipcases at all, which is where we steered you wrong. Shout! Factory is producing these DVDs, and the packages, for Time Life. 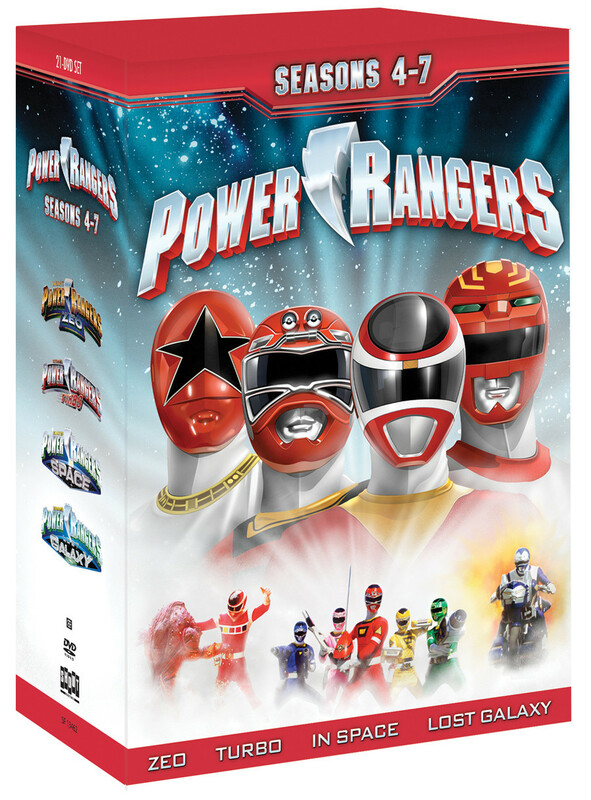 What they will do is take the first 3 seasons (the entire run of Mighty Morphin Power Rangers) and house them in one slipcase, and then separately there will be a second slipcase housing Power Rangers: Seasons 4-7 (Zeo, Turbo, In Space and Lost Galaxy). Time Life will take those two collections, and the special bonus action figure, and those three items are what will be taken to "wrap them in bubble wrap and send them to you." We'll have pictures of those above-mentioned slipcase packages for Mighty Morphin Power Rangers - Seasons 1-3 compilation and also for the Power Rangers: Seasons 4-7 set just as soon as those images are finalized, approved, and distributed. We've been informed that the individual "season set" artwork currently displayed at Time Life's online store is actually not finalized, and could be subject to change; we hope to have the finished artwork for all of that for you when it's also ready! In the meantime, here's a new description from Shout! Factory, Time Life and Saban concerning the on-disc contents of the Power Rangers - Seasons 1-7: From Mighty Morphin to Lost Galaxy collection. It includes some slightly more in-depth info about the extras, which we're informed will cover 3 bonus DVDs, rather the the 2 which is what Time Life currently mentions in their pre-order listing. However, the overall disc count still seems to be "40"; hopefully we'll have a disc-by-disc breakdown of the contents for you sometime before the set ships (that's currently expected to happen on August 6th). The Power Rangers: Seasons One -Seven collection will include all 145 original episodes from Mighty Morphin Power Rangers: Seasons One, Two and Three, plus the ten-episode series Mighty Morphin Power Rangers: Alien Rangers. It then continues on with Power Rangers: Seasons Four - Seven, featuring all of the original 183 episodes spanning the seasons entitled Power Rangers Zeo, Power Rangers Turbo, Power Rangers In Space and Power Rangers Lost Galaxy. In-depth bonus content includes a retrospective featurette on the Mighty Morphin Power Rangers phenomenon, brand-new interviews with members of the cast and the creative team and much more! As a reminder, the Power Rangers - Seasons 1-7: From Mighty Morphin to Lost Galaxy title is only going to be available online from Time Life. Shout! Factory will put smaller (and more casually affordable) sets in stores, starting with their 3-disc release on August 21st of Mighty Morphin Power Rangers - Season 1, Vol.1 (also available at Shout! 's online store). Later on there will also be an offering of The Complete Season 1 of Mighty Morphin, with all the first-season episodes on a six-disc set. No date or price has been set for that yet...nor any plans revealed for when the big 3-season and 4-season slipcase sets that make up Time Life's big offering might be available elsewhere. We know that Shout! will put Mighty Morphin Power Rangers - Season 1, Vol.2 into stores in the late-fall timeframe this year, but we don't have details or artwork for that yet. Stay tuned and we'll keep you updated! I remember the Green Ranger saga. I never much cared for the show, but Tommy was aces. I might get the shows with the original cast, I used to watch them with my nephew sometimes. I'm sure he'd get a kick out of seeing them again. Although, given the option, I'd rather get the Green Ranger saga exclusively than owning the complete series or however they're seperating the different teams. I would also watch VR Troopers from time to time. I might get this series also...for nostalgia's sake. I'm more familiar with the 'Rangers, but y'know whateva. As for the beetle show, I vaguely remember that one. Meh. I might have to check teh youtube. That was clearly the weakest of all of Saban's Tokusatsu shows. That show needs to fade into obscurity. WANT! Want want want want want WANT WANT WANT WANT WANT WANT WANT WANT WANT WANT WANT WANT WANT WANT WANT WANT WANT WANT WANT WANT WANT WANT WANT WANT WANT WANT WANT WANT WANT WANT WANT WANT WANT WANT WANT WAAAAAAAAAAAAAAAAAAAAAAAAAAANT!!!!!!!!!!!!!!!!!!!!! 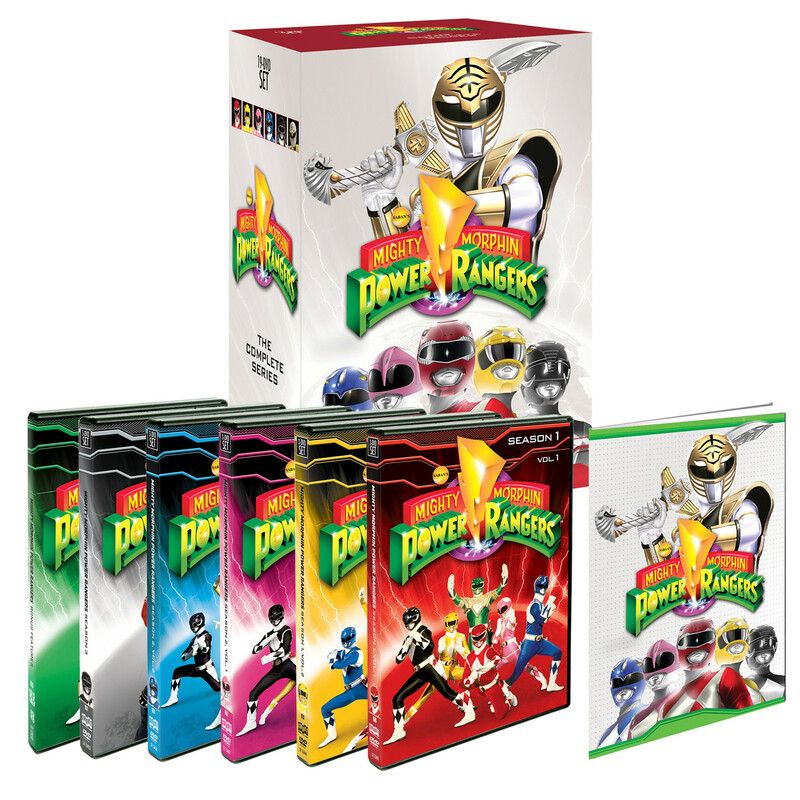 That's pretty sweet White Ranger box art. BIG update from Brian Ward of Shout! Factory, posted at Rangerboard. BWard wrote: Okay, gang... A couple of updates. For starters, I've been looking over the last few pages re: quality of picture (PR, not Friends). I think it's important that everyone have reasonable expectations. We are talking about 20-year-old transfers to Digibeta and, in some cases, the original broadcast D2s. This is two-decade-old analog tape encoded to MPEG-2. We've done no digital restoration or DNR, so you'll see that same 16mm grain that you've always seen. I feel like people are going to be throwing up all kinds of comparison videos to determine which of any release is the best possible release. If that's what you're expecting or going for... I believe you've missed the point. Keep your expectations reasonable. Not low. These DVDs look good. I'm quite pleased with them. But you're not getting glossy, crystal clear picture. The show never existed that way. *Note: This list ONLY pertains to what's been sent to the plant so far, so only MMPR. We're not quite done with S4-7, yet. Speaking of masters, I want to thank GrnRngr for sending us his VHS copy of "The Good, The Bad and The Stupid." As it turns out, in the literal eleventh hour, Saban was able to track down the final, mixed master. Therefore, we didn't end up using GrnRngr's copy, but rest assured, I will think of some way to repay him for his help. Three days ago, we received print samples of the MMPR slipcase and booklet. Floored. I won't lie; I nearly tweeted a photo, but decided that no pic I put up would do it justice. 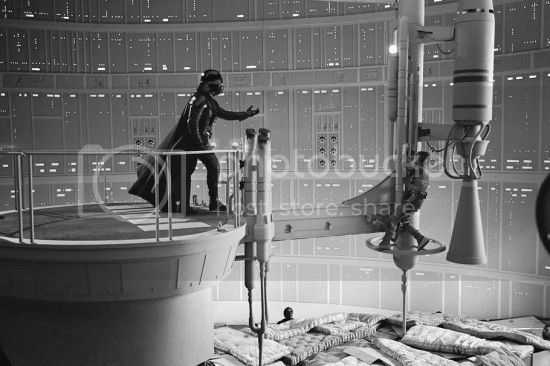 It's one of those things I'd like you to first see for yourself, when you open the set. It really is that beautiful and I'm eager to get reactions via unboxing videos! There may be a surprise or two, yet! Lots more stuff that I'm not allowed to talk about, yet, so I'm gonna cut it off here. Still lots to do. I've got 21 more discs to give at least one more look through, so I'm off to do that. Thanks for the support, gang! The set's turning out great, thanks in very large part to you! There's also a very informative interview with Brian Ward to listen to here, in which he discusses more of what they've mangaed to incorpoate into these DVD sets. Just press the Play button and let it go. And one more thing. Shout! 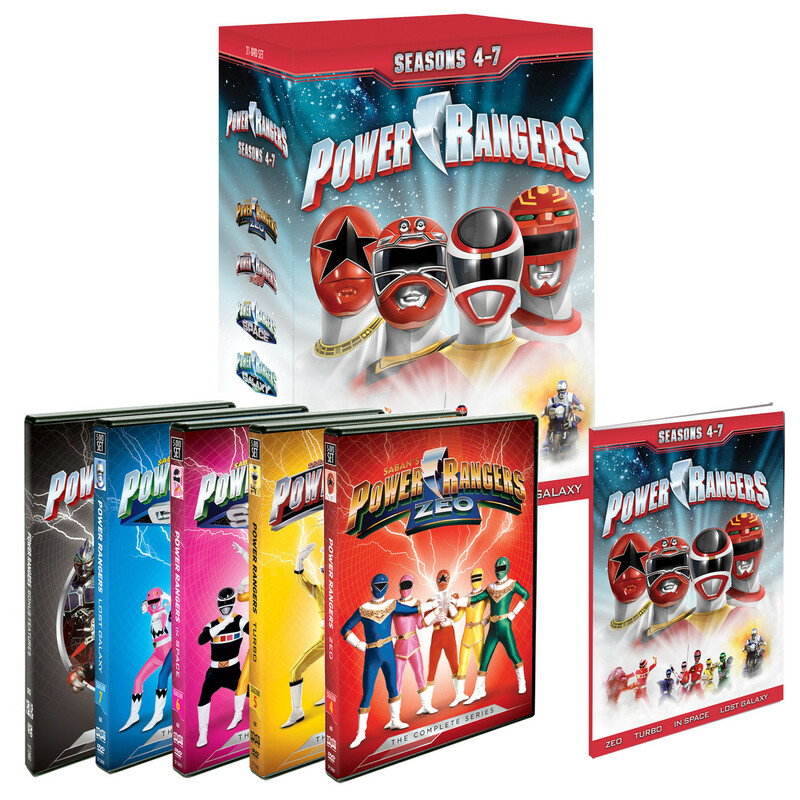 Factory is offering the first half of the seasons 1-7 DVD sets (the first half being just MMPR seasons 1-3) at this year's San Diego Comic-con. so, if one only wants to get MMPR with the bonus content and none of the other four seasons, one can pick it up at Comic-Con. Lionsgate owns the DVD rights to Samurai.